Hi Techies. Lets Discuss The Sony Xperia Z5 Plus Specifications, Price & Features. The Xperia Z5+ is in the news for quite some time now. 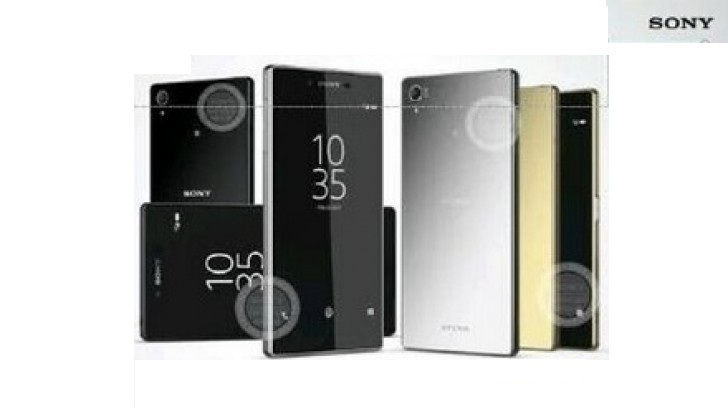 You might also read about the rumors of upcoming Sony Xperia Z5 and Z5 compact which is also expected to debut soon. Coming back to Xperia Z5 Plus, it might sport a 4K or Quad H.D display, 3/4 GB Ram & A snapdragon 810 CPU. Though there is no official confirmation of its specification as of now, But Lets discuss what we know so far. CPU/GPU 64 Bit. Octa-core. (2.1 GHz Quad Core A 57 And 1.5 GHz Quad Core A 53). Qualcomm M.S.M 8994 Snapdragon 810 CPU. | GPU Adreno 430. DISPLAY Quad H.D or 4 K Screen. CAMERA REAR 20.7 MP. Auto focus with LED flash. Features. Touch focus, face detection, panorama, Geo-tagging. | Video Features H.D.R recording | FRONT/SELFIE CAMERA 8 MP 1080 p.
BATTERY No info. (To be updated Soon). STORAGE No info. (To be updated Soon). FEATURES Corning Gorilla Glass Protection. | Fingerprint Sensor. | Quad H.D or 4 K Screen. | Snapdragon 810 CPU. SENSORS Accelerometer, gyro, barometer, proximity, compass. CONNECTIVITY Bluetooth v 4.0/4.1. W.I.F.I 802.11 a/b/g/n/ac. W.I.F.I Direct, Hot spot. Might come with a 4 K or Quad H.D display. (Since according to latest info Sony might use its 4 K X-Reality Pro image processing engine in the phone ). Might come with Snapdragon 810 Chip Sets. Corning Gorilla Glass Protection on screen. (version unconfirmed). Z5 Plus Price & Availability. It is expected to be announced in September. There is no information of its price as of now. Stay tuned to get more updates and don’t forget to subscribe and Like us on Facebook.